Here is a decorated direct daughter of the National Champion, Cherri 205. And, sired by Primo a full sib to Solution, Right Direction and Bloodstone. We had a great time campaigning this female from the west coast to the midwest majors. She was named the Supreme Champion at the California State Fair, a division champion at the North American, NWSS and FWSS. 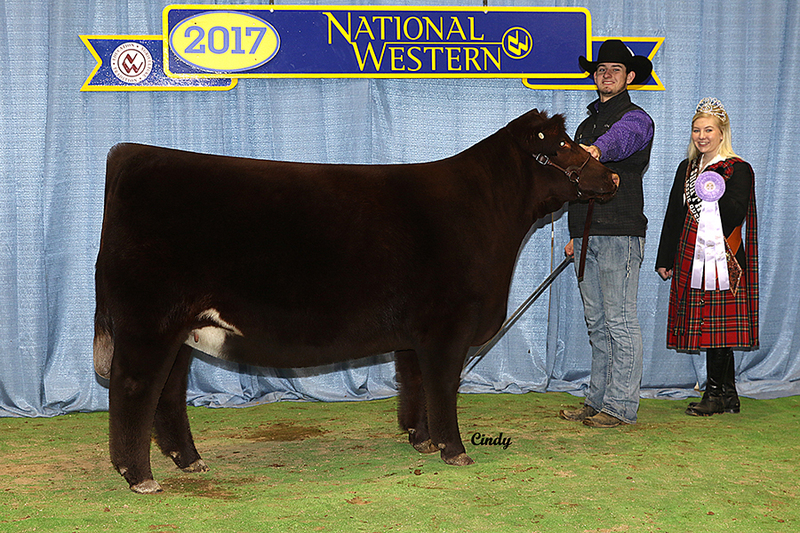 Her first daughter was recently named Supreme Champion Heifer, 2015 Minnesota Beef Expo and went of to win divisions at the NWSS and FWSS. Look for continued success to come from this donor backed by predictability in her cow family.